Not using AV reminds me of the Buck Naked Underwear commercial. Thanks townie, I'll certainly look into Bitdefender also. I finally got infected. My browser was getting redirected. A guy, supposedly from Microsoft, tries to chat. "Are you having problems with your computer?" Riiight, Microsoft to the rescue. DNSChanger was a DNS hijacking Trojan active from 2007 to 2015. The work of an Estonian company known as Rove Digital, the malware infected computers by modifying a computer's DNS entries to point toward its own rogue name servers, which then injected its own advertising into Web pages. At its peak, DNSChanger was estimated to have infected over 4 million computers, bringing in at least US$14 million in profits to its operator from fraudulent advertising revenue. Good stuff brick, I can't recall the name of the culprit but I had a nasty one on a customer's macbook pro, redirecting safari and opening literally hundreds of instances of the app, Christ helped me get rid of it with just a few clicks. even tried to hook up thru an HDMI, still nothing. i just did a repair install on my laptop with Win 10, something screwy was going on but i couldn't find it, slow loading,wouldn't install Windows update, programs disappearing, could get into Safe mode but not with networking, etc. ran 3 or 4 different anti-virus scans, deleted cache and old updates for Windows, reinstalled fresh IE and FF, nothing worked (CCleaner always stalled at 10% cleaning IE), so i suspected registry problem, anyway, the repair fixed it, updated and zipping right along again. they must stil be ironing out kinks in 10, my Win 10 htpc keeps rebooting after shutdown, it was a flaw in 10, and Microsoft had released a path for it in an update, which seemed to work, but after the last update it started doing it again. I finally upgraded one of my laptops to 10. So far, all is well. I will admit that it is faster than 8.1, but I despise all the Cortana integration and ad crap in it. I disabled Cortana, have absolutely no use for it myself. This was a free lappy. A little over year ago, a friend brought by a Toshiba that would not power up. I traced it to being a bad motherboard. At that time, the best price for a new board for this one was somewhere around 175.00. He said forget it, keep it for parts. It sat in the box for over a year on a shelf. A few weeks ago, it caught my attention again, so I searched for a board again. I found a brand new one for 59.00 plus 5.95 shipping. It was factory loaded with win 7, and once it was up and running, it did the updates and offered the free 10 deal. I had to try it out. wow, now THAT'S a deal, $65 for a laptop. i have, eventually, upgraded my 3 computers to Windows 10, definitely better than 8.1, still not sold that its better than 7, but, would have had to get it eventually so figured might as well get it now and get to know my way around it a bit, and its basically stable now. I think with 10 it's a bit of customizing to your specific device, Cortana is awesome on mobile but not so useful with a desktop. Same applies to the multitude of settings that all seem to be privacy related, knowing where they are and how simple they are to switch on/off is key. By default, Windows sends a lot of your information to their servers sometimes without asking you to opt-in. Follow this guide to fix Windows 10 and restore your privacy. I've been learning quite a bit about Win 10 this past while, simple things like getting the control panel to the start menu can be annoying when you're not familiar. 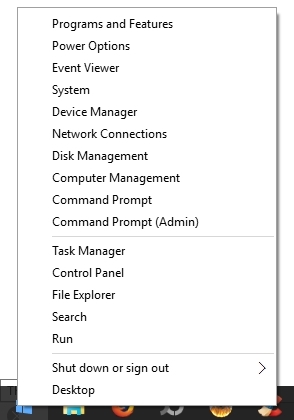 i still have quite a bit to explore about 10, still just basically using it the same way i used 7.
there is also some quick access settings on the bottom of your notification icon on the taskbar when you click it.